← CALLING ALL BUDDING ARTISTS, WE WANT YOU!.. to design our next bout booklet cover. 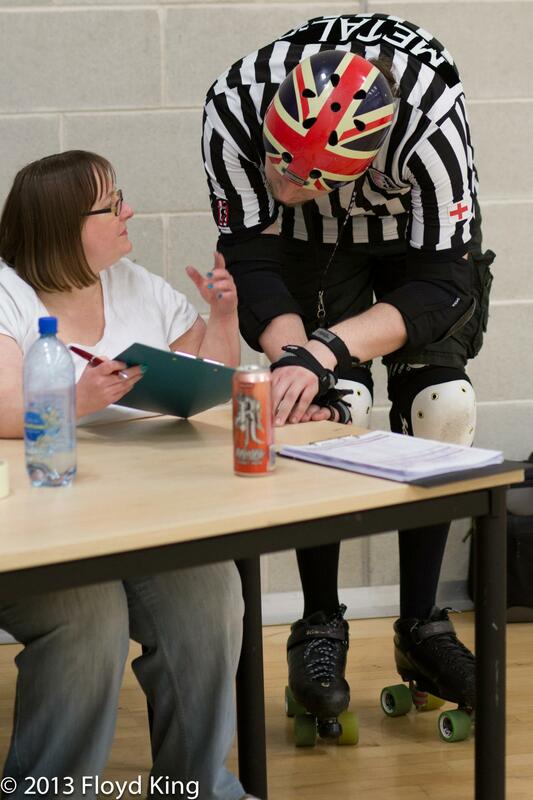 Its not just our skaters who work hard all year round, our officials do to! Here at CCR we are very privileged to have some of the UK’s top officiating talent training alongside us week in week out. Training with referees and non skating officials really helps us as skaters focus on our game. As a league it helps us appreciate the sometimes mystical art of officiating. Their tireless effort and drive to succeed really makes them stand out and with whistles, stop watches and pens at the ready they help the leagues bouts and scrimmages run like clockwork. Some of our crew have shared with us what it’s like being officially official this season. Here are their thoughts on being the other side of the track…What’s been the highlight of your season so far? Referees and officials often get the best seat in the house when it comes to games, so we wanted to ask…Whats been your favourite game you’ve officiated this season? What are your aims/are you looking forward to next season? Our officials travel all over the world to officiate at the highest level with this season seeing them travel to outdoor tournaments in Finland, European invitationals in Belgium, Men’s European Championships, Anarchy in the UK, Spring Roll and The Big O in America. Our officials often receive no financial support from any governing bodies to support their travel funds so much like the league itself, their stripey pursuits are funded by themselves. 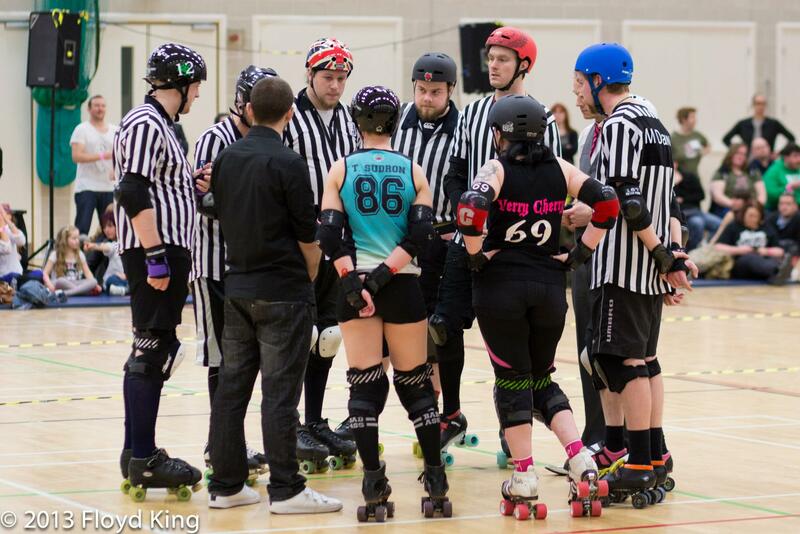 Along with tireless travelling, this season has also seen our two WFTDA certified refs Major Travis T and Metal Ed be accepted by the MRDA (Mens Roller Derby Association) as affiliated officials. This is a prestigious title only held by four referees in Europe (including them!). They have officiated a number of high level MRDA sanctioned games and gained letters of recommendation from MRDA leagues in order to gain their affiliation. Well done chaps! With all the on skates excitement we’ve also seen a few changes within the officiating ranks at CCR. 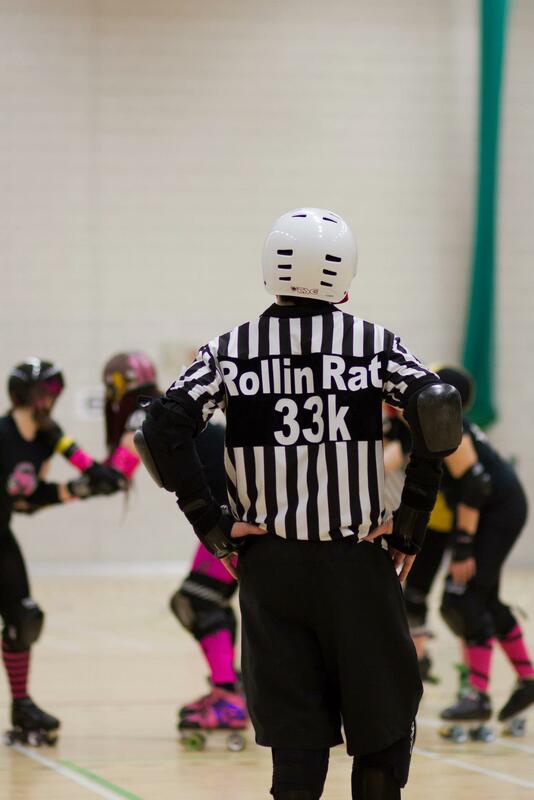 Rollin Rat stepped up as Head of Refereeing at the beginning of the year and continues to do a sterling job keeping the good ship zebra on course. Sadly we have had to bid goodbye to one of our longer serving refs, Grave Dogg who has left for pastures new in London. Grave Dogg has been with CCR since 2010 and has been a staple part of the officials crew. 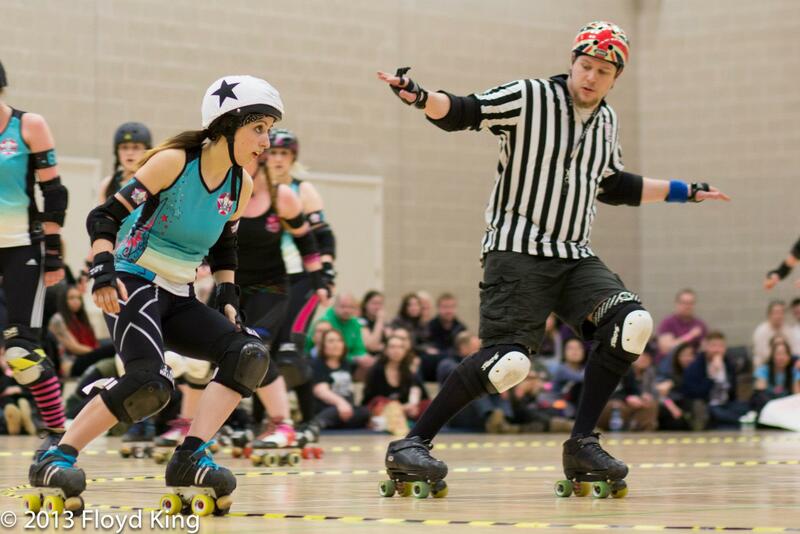 He joins London Roller Girls as part of their stellar crew where we know he’ll be just as fantastic. He’ll be sorely missed! From all at CCR we wish him good luck and hope he settles into his new league quickly. We look forward to seeing our referees in action after the league’s off season once again but you can catch them at a venue near you soon. Don’t forget to say hi and thank them for being an awesome official! 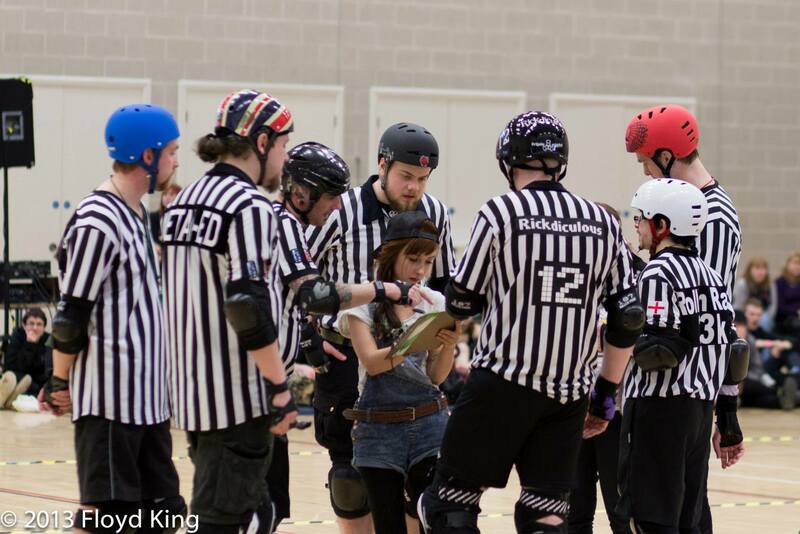 Our refs will next be in action when CCR host their first home game of the 2013/14 season against Belgium’s, Gent Go-Go Rollergirls. The even is a double header with the Crash Test Brummies locking horns with the South Wales Silures on Sunday September 15th. The fun starts at 1pm at Doug Ellis Sports Centre, BCU City North Campus, Perry Barr. More details are available on the facebook event here.